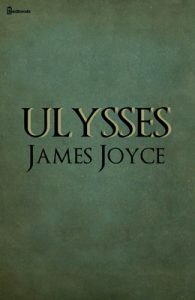 James Joyce, perhaps more than any other single author who’s ever lived, gets a lot of credit for redefining the novel. Here’s the interesting thing: he deserves all of it. Joyce redefined what reading meant. He demolished boundaries, both in a literary sense and a social sense. He introduced many readers to a kind of writing they didn’t believe could exist, and believed even less that it could work. James Joyce, that is to say, is one of very few people who changed the world. That sounds like high praise. It sounds even more like that when you realize he did this through an extraordinarily short career, which consisted mainly of just three novels and a collection of short stories. With only a handful of titles to his name, James Joyce changed literature. Actually, let’s not mince words; with one title, James Joyce changed literature. Dubliners may well be the best short story collection in the English language, but outside of the meticulous recreation of its central city, it wasn’t pushing any boundaries. A Portrait of the Artist as a Young Man was influential, and rightly so, but I’m not sure that any of its ideas aren’t more fully and more successfully explored by Ulysses. And Finnegans Wake‘s biggest achievement is that anyone wanted to publish it; it was a more daring experiment than it was a successful one. With Ulysses, though, Joyce struck an immortal chord, and we’re still hearing it resonate today. Even if you don’t read, you owe something to Ulysses. Perhaps it’s the fact that Joyce’s crippling fight through obscenity trials allows you to experience works of art that others would seek to forbid you, for one reason or another. Perhaps it’s the book’s profound, incredible ability to tear down the walls of structure, paving the way for concept albums, bottle episodes, experimental films, and every other kind of art that attempts to transcend the agreed-upon boundaries. Or maybe it’s as simple as the fact that it presented “stream of consciousness” as a viable way for an author to express himself. So many things we take for granted we can trace to Ulysses. And we can jump back and read the novels published before it, and see just how urgent and massive a change it really represented. 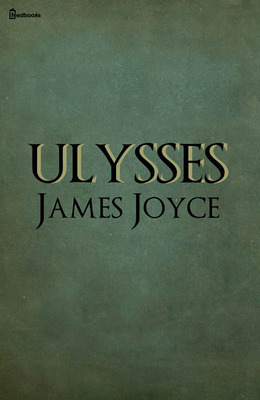 With Ulysses, Joyce knew, played against, and challenged the preconceptions readers would have about any given novel. They see one they think they’ll enjoy, they pick it up, they open it, and they expect something. Joyce gave them something else, and he did so with a title that was guaranteed to give them even further expectations. Ulysses is named for the hero of The Odyssey, after all…a character who may well hold the title for being the most adventuresome protagonist ever set to page. Joyce’s Ulysses, then, is about a man who wakes up, eats breakfast, goes to work, eyeballs some women, and wanders around until bedtime. He knew your expectations. He just knew he’d get bored meeting them. What Joyce does is forcibly enlarge our understanding of what narrative is. By mapping the mundane wanderings of his own protagonist, Leopold Bloom, to the relentless action and cunning violence of Ulysses (or Odysseus), Joyce tacitly argues that the real excitement is within. It’s in the mind of an unremarkable man. It’s in how we process the world. It’s in our thoughts and hesitations and self-doubt. That’s what he finds interesting, and, he suggests, it’s what we should find interesting, too. Ulysses has a reputation for being (at least) a bit too difficult. I can’t say that I agree…at least not entirely. Perhaps I just had a really great professor teach it to me. (Scratch that “perhaps.”) There are difficult passages, of course, and there are stretches of the novel that to this day I find impenetrable. But that may be by design. Shouldn’t the thoughts of another human being be at least intermittently unintelligible? We understand our thoughts, but would we understand someone else’s? Should we? Isn’t it privilege enough to peer into another man’s mind and understand even just the broad strokes? It’s an odd novel, and one I will always love. It’s beautiful in its ugliness. It’s inviting, and it keeps you at a solid intellectual distance. It’s challenging and benign. It’s the simplest story imaginable told in the most complicated possible way. And it’s incredible. It’s one of those books I feel that everybody should read at least once. Even if you hate it, which you might. Even if you don’t understand it, which is a very real possibility. Even if you come away feeling like you wasted your time. I’ll disagree with you endlessly on that last one, but it’s a novel that helps you to understand what a novel is. It’s a book that teaches you how to read. And, strangely, it’s a book that filters Joyce’s experiences through a fictional character and again through a classical filter and again through your own mind as a reader. It’s a chain of intellectual reasoning that can actually teach you one hell of a lot about the way your brain works. You have to admit, that’s a pretty great trick. There’s some literary group on Facebook of which I’m a member. I don’t remember joining it. Maybe somebody else added me. I’m pretty sure I’ve never even commented on anything there. But, fairly recently, somebody posted a picture of this book and asked if anyone had read it. I wasn’t surprised that many of the commenters had; it’s a literary group, after all, and Ulysses is one of the most famous novels. I was surprised, though, at how many people told this reader not to bother. They said they started it, and gave up a few chapters in. They said it was confusing, and that other, easier books would be more deserving of their time. That was heartbreaking to me. Literature should be a challenge. Readers should be willing to fight, to push through, to be enriched by the experience. That’s what an adventure is, isn’t it? What’s an odyssey that isn’t difficult? To whom could that possibly have any value? At the risk of opening a can of worms, the idea of literature as challenge is something I wish had come up a year or two ago when sites like Slate were talking about adult interest in YA novels. Those into YA were adamant that it came down to taste, and the other side seemed to be only saying “grow up and read books for adults”. What I never once saw discussed was how different people look to reading for different purposes. I try to read a couple of books per year that do challenge me, and there’s other books that I look to for entertainment. Taste is an aspect that I feel only applies to each of those purposes individually; so ultimately I do still wonder (doubt) if adults who read only (primarily?) YA books are actually being challenged by the material or see reading as just a way to be entertained. From time to time I read YA novels, and one reason is always that I expect the writing style to be easier to read than for adult novels, so being less challenged in this specific way is certainly a reason for me. But these books can be challenging in other ways, especially emotionally. Many of the novels were weak, but ones that stood out were US school literature like Catcher in the Rye and To Kill a Mockingbird, both books that are definitely challenging in their own way. My favourite YA author though is Peter Pohl, from Sweden. The protagonists are always kids who have to deal with harsh realities. Lets call him Anna (that should be the English title, but I’m not sure) is probably the most emotional devastating and touching book I have ever read. That book started my interest in YA stuff, because I still have an easier time emphasising with teens than with actual adults. If they are well written, they get to me like nothing else can. But maybe that’s not the kind of challenge you mean? It wasn’t the kind I had in mind, but anything that asks you to think in some way other than your own, or experience something you haven’t, even emotionally, I would consider a challenge. And I should have clarified when I say YA literature I mean more contemporary books. I suppose my assumption is that the sameness of type of stories being published (lots of things in the Harry Potter, Hunger Games, or Twilight *ahem* veins) might lead to a sameness of experience presented. I’ll admit I’m guilty of thinking “I’ve been a teen, I’ve covered that ground already”, which probably isn’t fair. Well damn, Phil. It’s been sitting on my shelf for years. Just like War and Peace; “I’ll get around to it someday” but haven’t yet. I will say that in Dublin everything is James Joyce this and James Joyce that, but I couldn’t help but wonder how many of these Dubliner fanboys were actually fans of the writing. I do tend to resist books that I never get into the groove of. Why must you always bedevil me?? I’ve wondered the same thing. I don’t know how often Joyce actually gets read over there. I can understand the city being proud of its literary heritage (it should be!) but Joyce isn’t “common man” reading. Not trying to pick on anyone; I’d just have a hard time believing ANY city is well-read in Joyce.